On the 2nd April 2017 the Lotte World Tower in Seoul, South Korea was the setting of a spectacular firework display. 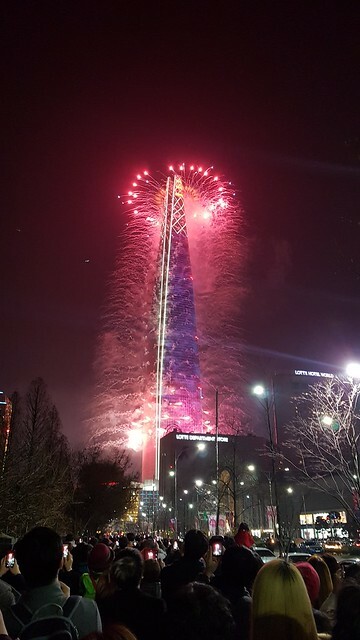 The display was in celebration of the opening of the Lotte World Tower (which had taken more than six years to build) now South Korea’s tallest building and the fifth tallest building in the world. 30,000 fireworks were used in a show that lasted for eleven minutes and the display could be seen for miles around. 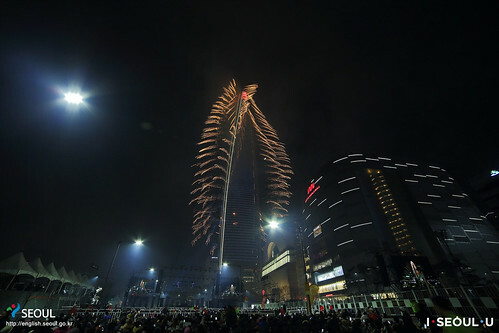 The Fireworks show had eight different genres of music and the theme of the fireworks show was ‘Miracle of Korea’. Lotte World Tower is now the fifth tallest building in the world, only beaten by the Ping An Finance Centre in China, Shanghai Tower in China, Royal Clock Tower in Saudi Arabia and the Burj Khalifa in Dubai. The fireworks display is reported to have cost around $3.5 million dollars, and the pyrotechnics took a professional French display team 17 days to install, however, this was a fireworks show the people of South Korea will never forget.